Ditch the dry, overcooked lamb, and give this flavorful cut the treatment it deserves. The low, slow, precise sous vide cook ensures the lab comes out perfect time after time, and the flash fry finish in place of a standard sear makes sure that all the nooks and crannies get perfectly golden. 1. Set Anova Sous Vide Precision Cooker to 135°F / 57.2°C. 2. Season lamb generously with kosher salt and place in a resealable ziplock bag. 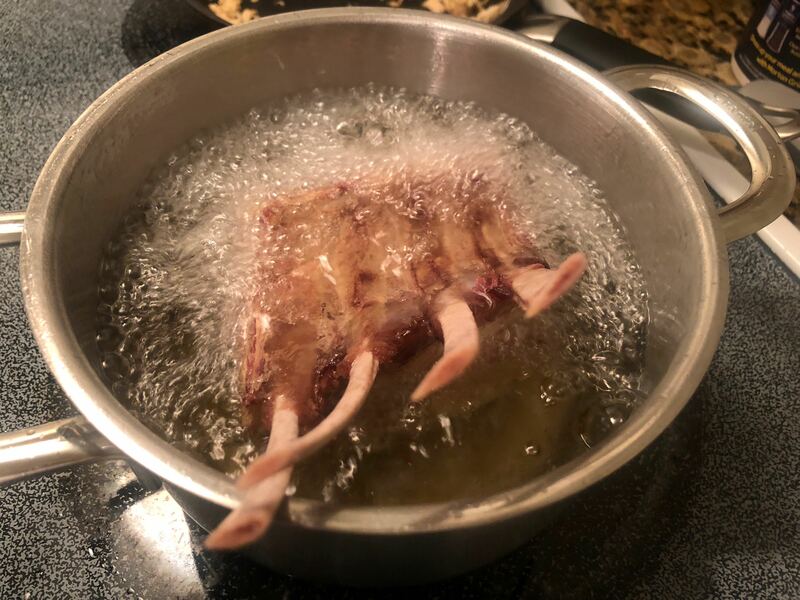 Place lamb in water bath and sous vide for 2 hours. When the timer goes off, remove lamb from bag and dry very well. Place on an elevated rack for 15 minutes. Add 3 inches of oil into a deep pot, and heat to 375°F / 190°C. Dry lamb again, ensuring the surface is free of moisture. Carefully submerge lamb in hot oil and flash fry for 2 minutes until golden. Remove lamb, and carve between every other bone to serve!